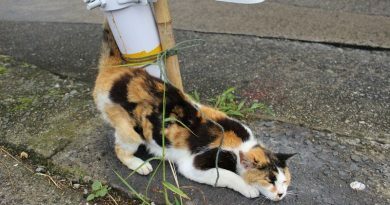 One rule to know before you come to Japan: Most likely everything is different from what you know at home! 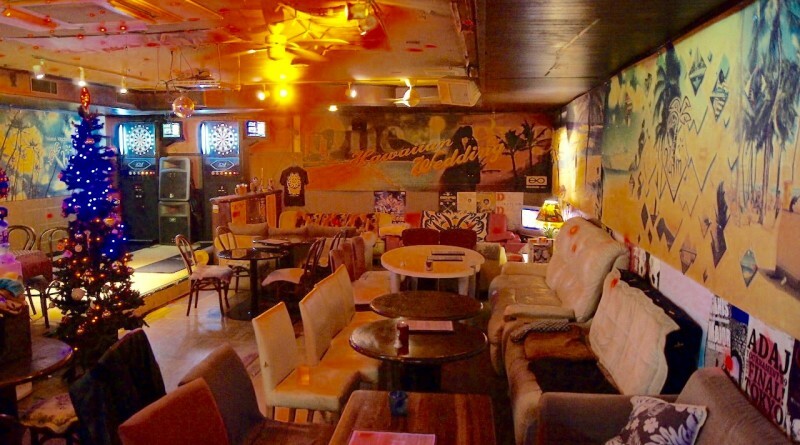 So naturally, Japanese nightlife and bars are also different in many ways. Maybe you have already been to one of the Japanese restaurants, called Izakaya, in which you sit at a separate table with next to no chance to meet new people while enjoying Japanese food and drinks. We believe that a big part of the experience you get out of travelling is making new friends, nothing is as exciting as exchanging with people from every corner of the world in a nice atmosphere. 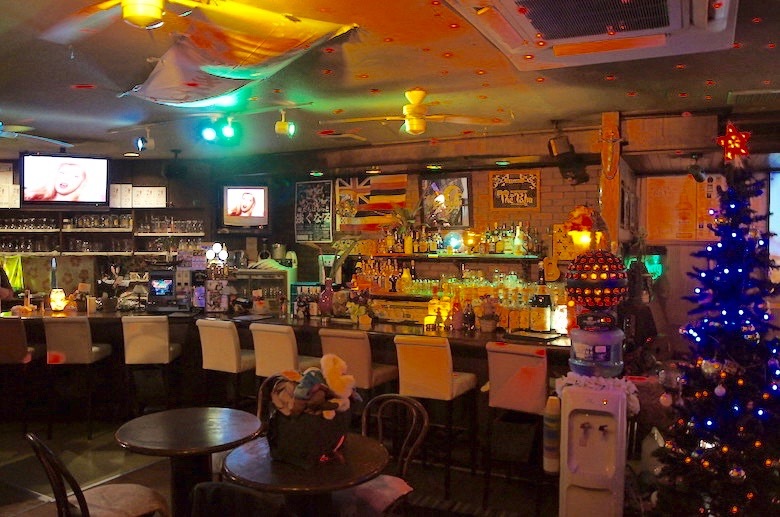 If you want to meet a lot of interesting people and get to know Japanese locals that are also interested in speaking English, this bar is perfect for you. The lounge area with the comfy couches and tables. In the left background you can see the dart machines and the dance floor. 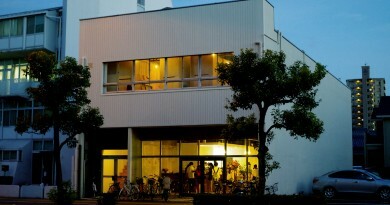 The PALMS is located in central Takamatsu, just a few steps away from the busy shopping street. It has a long history to its name, thousands of people have crossed path there and became friends. It was first opened in 1984 with the name “The Kingdom”, so 21 years of experience make The PALMS what it is today. The staff and many of the regulars have become friends over the years, even going on vacations to Hawaii together every year! As you’ll step inside you will notice the Hawaiian theme they chose for The PALMS. 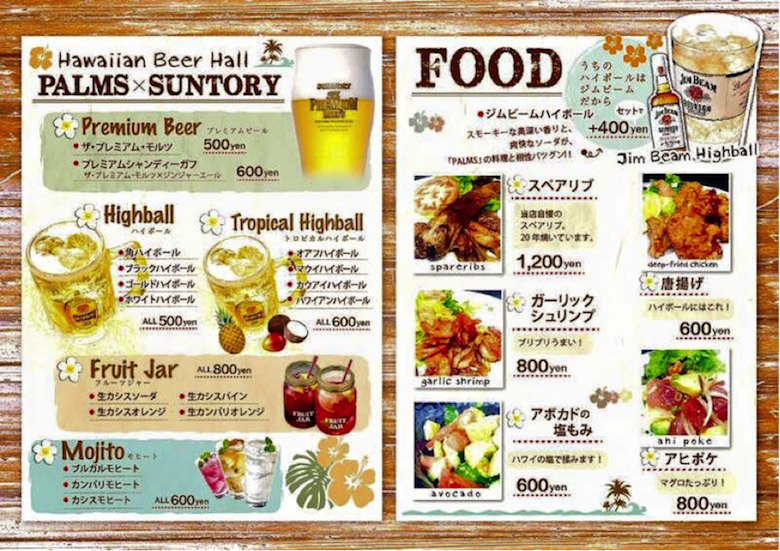 Reason for this is that the owner and the staff love the easy-going nature and atmosphere of Hawaii and wanted to create a little Hawaii back in Japan. The bar counter with the Hawaiian Flag in the background. As well as awesome drinks and events, The PALMS also offers delicious foods from burgers to seafood. 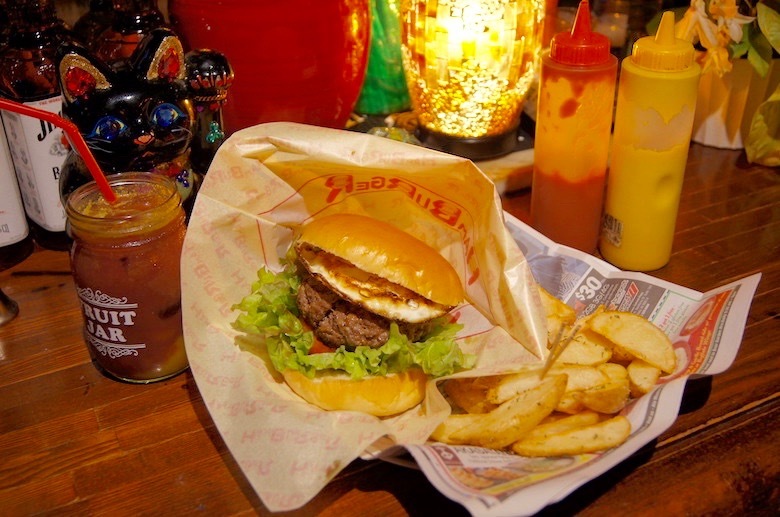 Enjoy a special kind of burger with delicious Udon noodle on it! Guaranteed to be something unique you won’t find anywhere else! Not only has The PALMS an extraordinary atmosphere in which you instantly feel comfortable but also several theme nights that offer something for every taste. 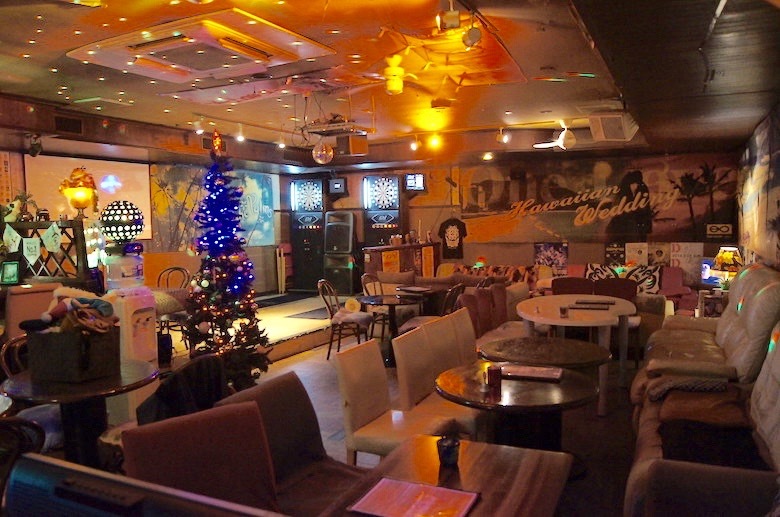 Wednesday+Sunday – Karaoke, sing your favorite songs! If you fancy a drink in the evening to round up the day with some cool people you should definitely try out The Palms!